New version of VistaSwitcher has been released today. This is probably the latest beta before version 1.0 goes gold. VistaSwitcher 1.0 Final should be released within 2 weeks. Use Alt + ` (Backtick) to switch between windows of the same application. This is easy to remember if you notice that the Backtick is the key right above the Tab. So, to switch between ALL open windows, use Alt + Tab. 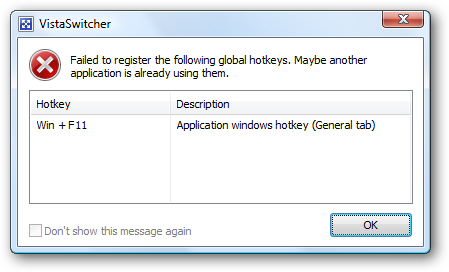 To switch between windows of the same application, use the key right above, Alt + ` (Backtick).